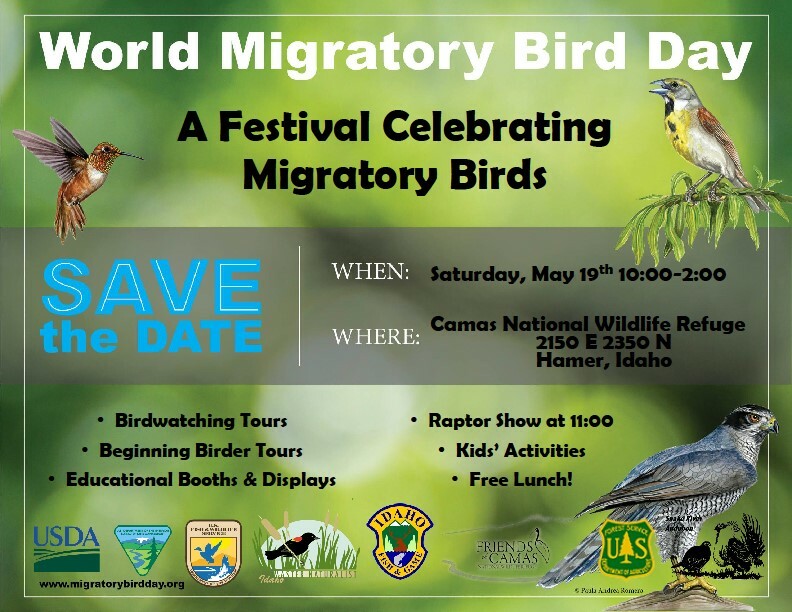 The annual celebration of birds and migration is set for May 19th this year. This is always a fun and informational event. Note that this year the venue has changed and it will be held at Camas NWR north of Hamer. don't miss it!